Here's another fun Halloween craft from the Ellis clan. 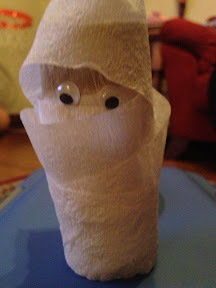 Toilet paper tube, streamers, googly eyes and glue. That's it! Tristan did it almost completely by himself!